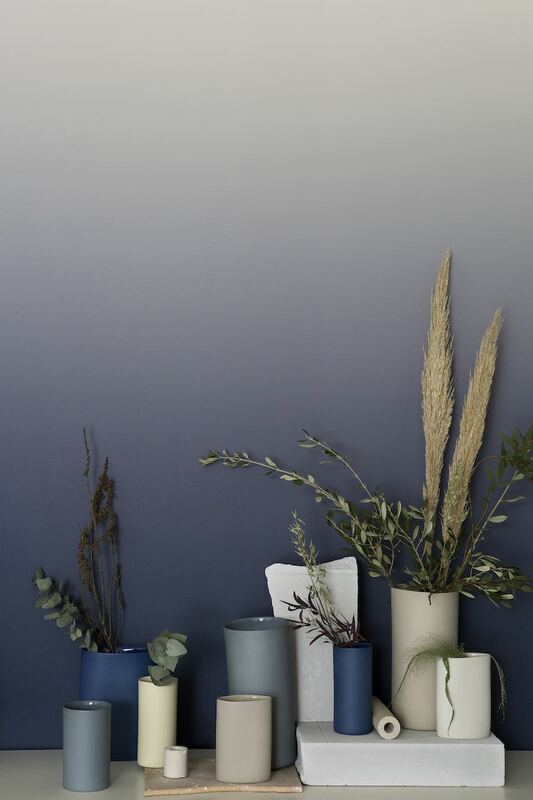 Woven into the very fabric of post-war London, Battersea Power Station is ready to meet the energy demands of a new age. 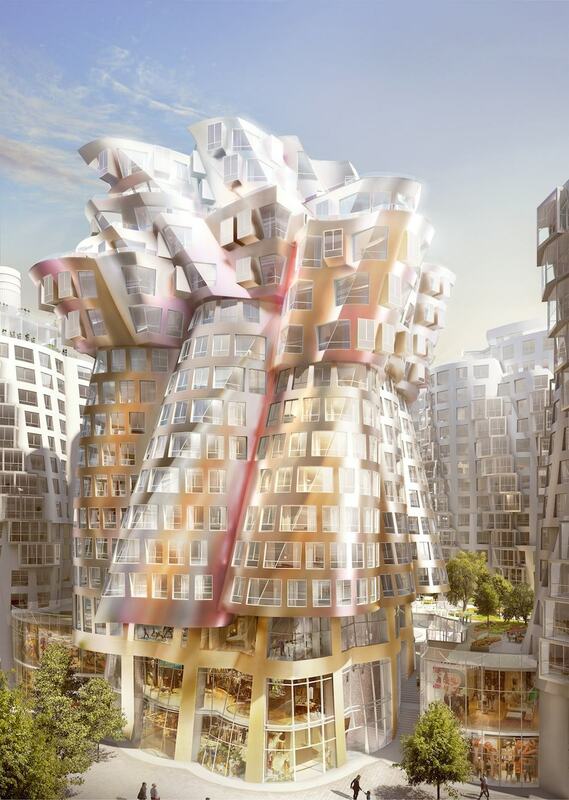 The today-abandoned iconic rock venue sitting on the Thames’ south-bank will be transformed into a cutting edge district featuring the work of maestros like Gehry & Partners and Foster+Partners together with upcoming talents in architecture and interior design. Whilst the complete transformation is still in progress -due to 2025-, the Battersea Power Station team has already crossed the English Channel on an global tour to promote the project to some of the most influential entrepreneurs worldwide, from Kuala Lumpur to New York, from Milan to Tokyo, from Dubai to Paris. 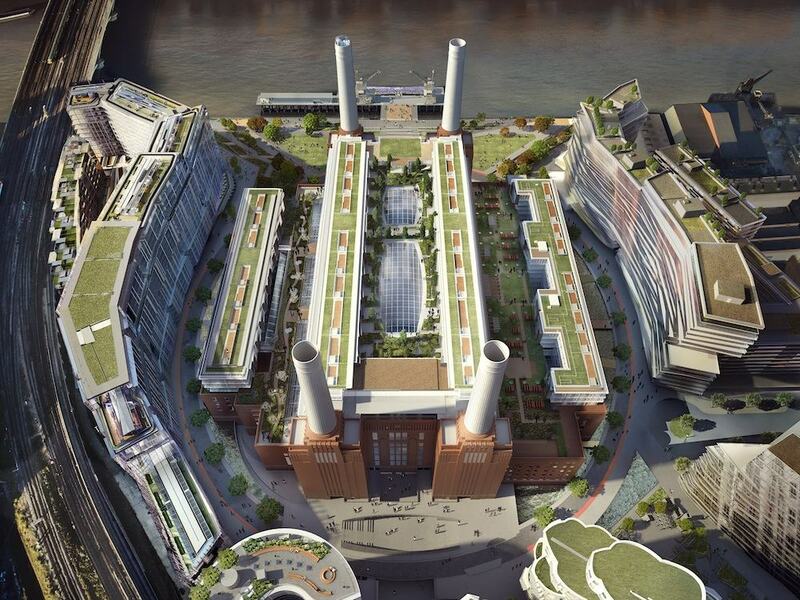 After serving fashion, music and cinema as an alternative cultural hotspot, the new Battersea Power Station district is today one of the most relevant real estate developments in London with an area of 17 hectars (the size of East End) that will host 4.000 apartments, over 250 commercial spaces and 7 hectars of park. 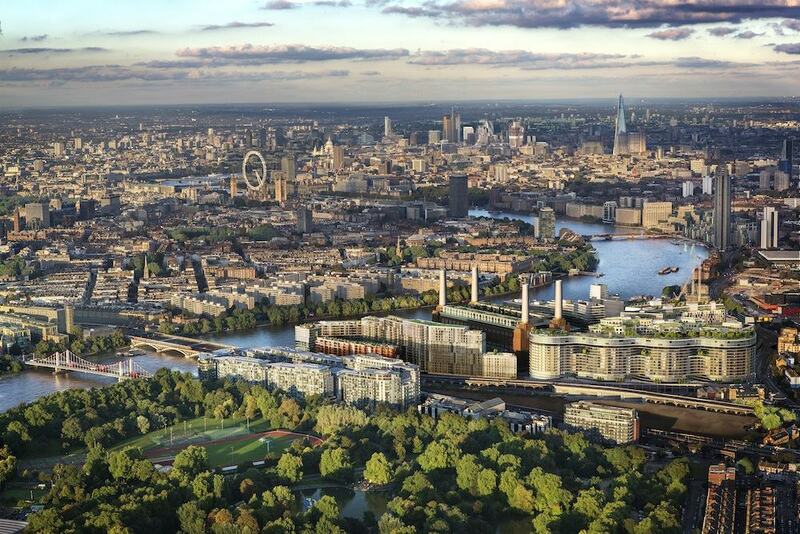 The new district will guest about 25.000 residents and over 40 mln visitors per year becoming a new destination for both tourists and Londoners. THE POWER STATION – Dazing on the Thames south-bank between Chelsea and Clapham and worshipped by Pink Floyd fans, the Power Station was designed by Sir Giles Gilbert Scott, author of the House of Commons in Westminster, the Tate Modern original building and the iconic London telephone boxes. 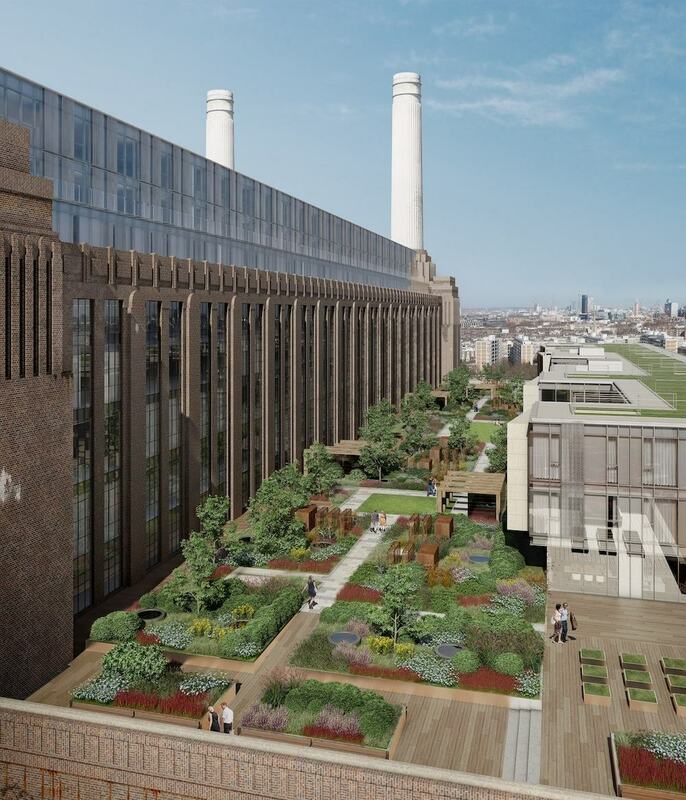 The new power station will host 250 homes and 4 penthouses, an auditorium, a cinema and even a boutique hotel plus six floors of offices for about 5.000 people. 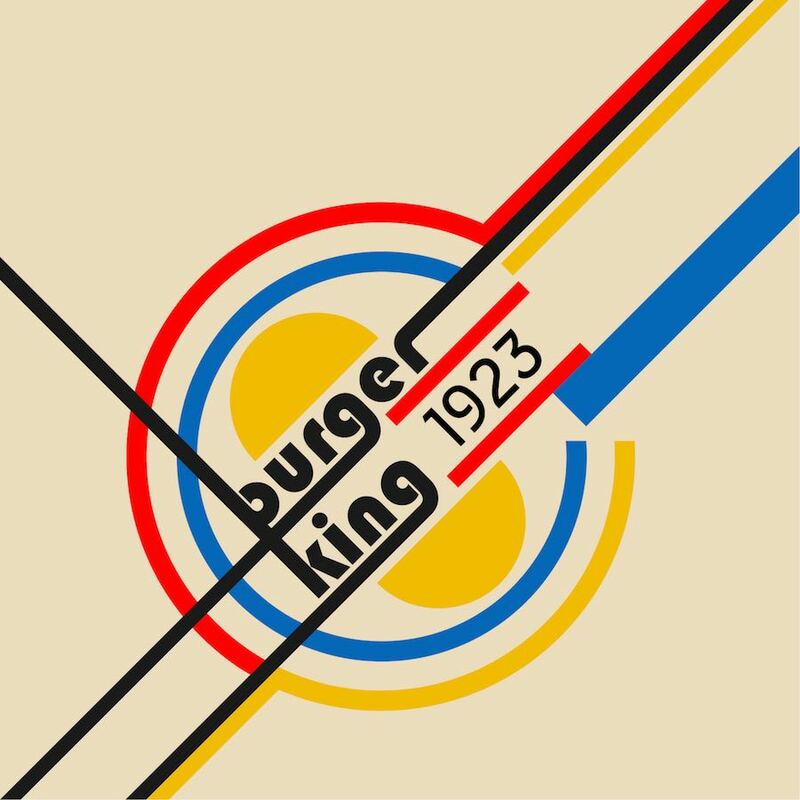 In the middle, three levels of retail will alternate luxury brands and estabilished food & beverage players with indipendent designers, chefs and entrepeneurs who share the creative spirit of BPS. The Power Station will return also to its original function becoming again a power station and producing carbon neutral energy. 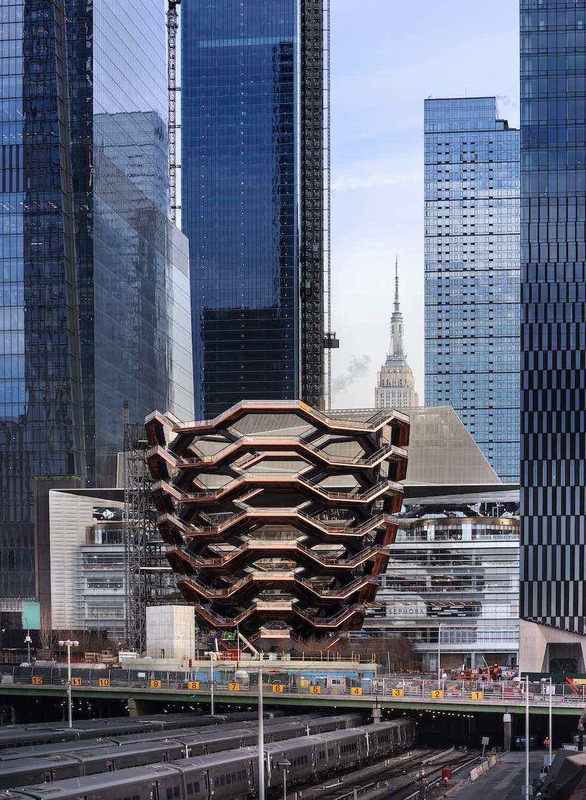 James Corner Field Operations – authors of NYC HighLine – designed a panoramic roof garden on top of Foster+Partners new building where it will be possible to grow tomatoes and runny beans whilst enjoying the best view on the white chimneys of the monument. 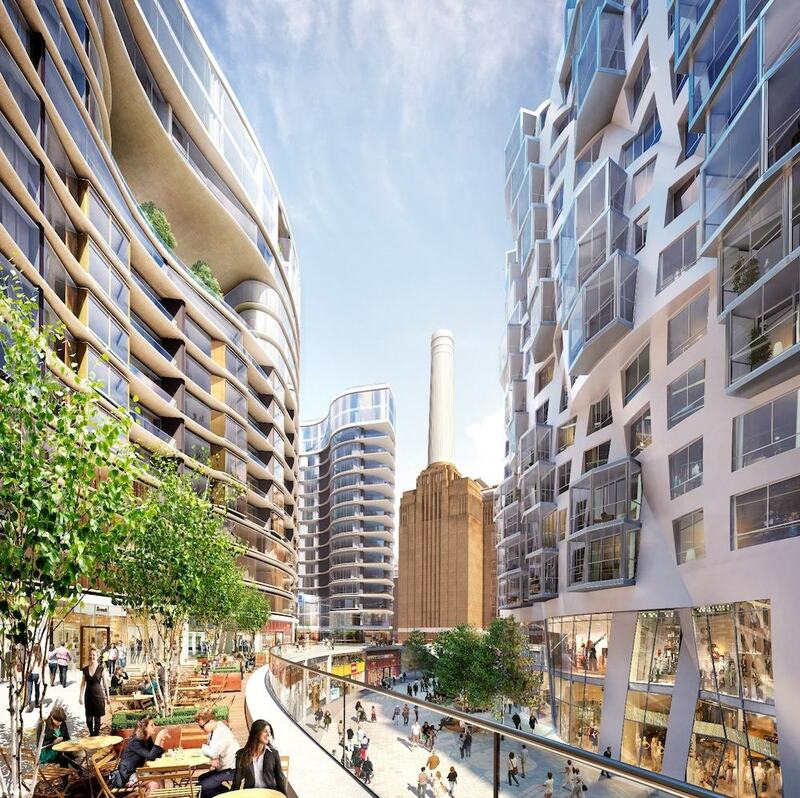 THE DISTRICT – The approved master-plan by Raphael Viñoly is centered around the industrial art deco monumental building and will feature three main pedestrian axes that lead to the iconic power station and a park on the Thames. 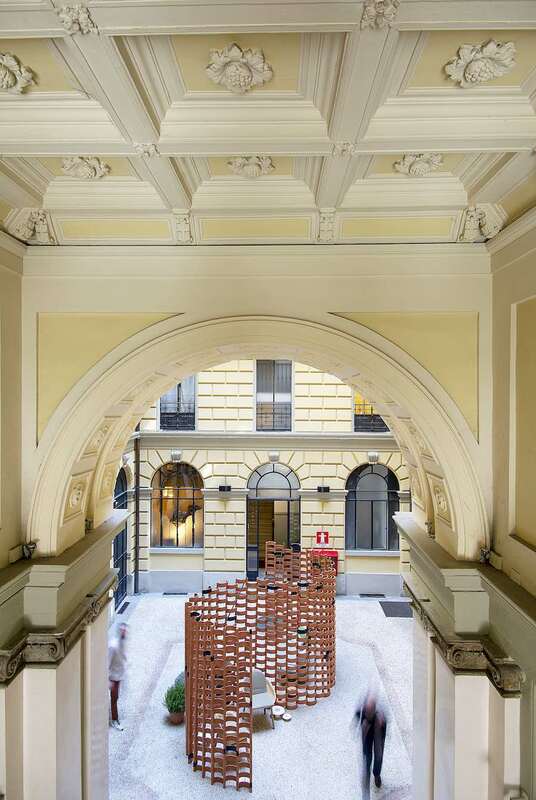 The most spectacular point of access is the Prospect boulevard that will offer opportunities for people to enjoy the space itself with cafe and shops but also with an installation and a playground designed by Gehry & Partners. 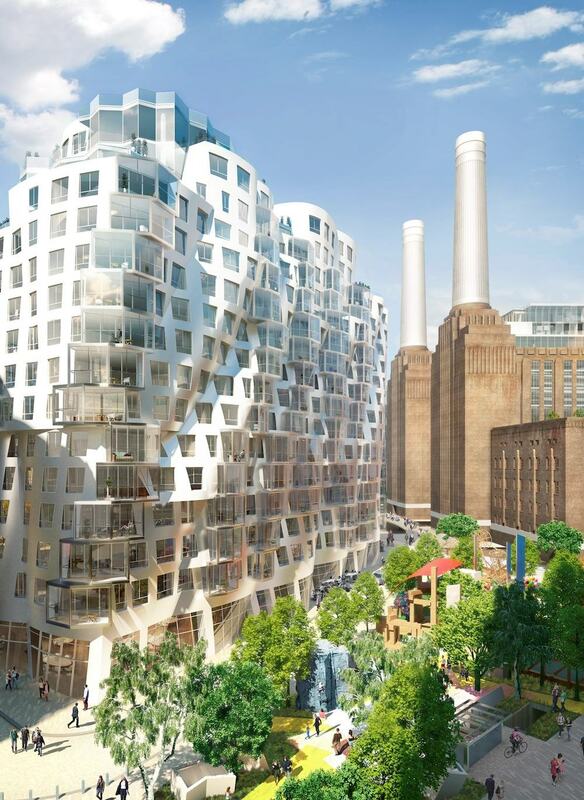 Battersea Power Station – Prospect Place and Prospect Park by Gehry Partners. The Electric boulevard is a two-level thoroughfare that will connect a new tube-stop to the main entrance of the Power Station hosting cafes, restaurant and retail spaces. Another side boulevard with a a luxury Hotel and offices will lead car-drivers to the landmark monument. Battersea Power Station – Electric Boulevard. 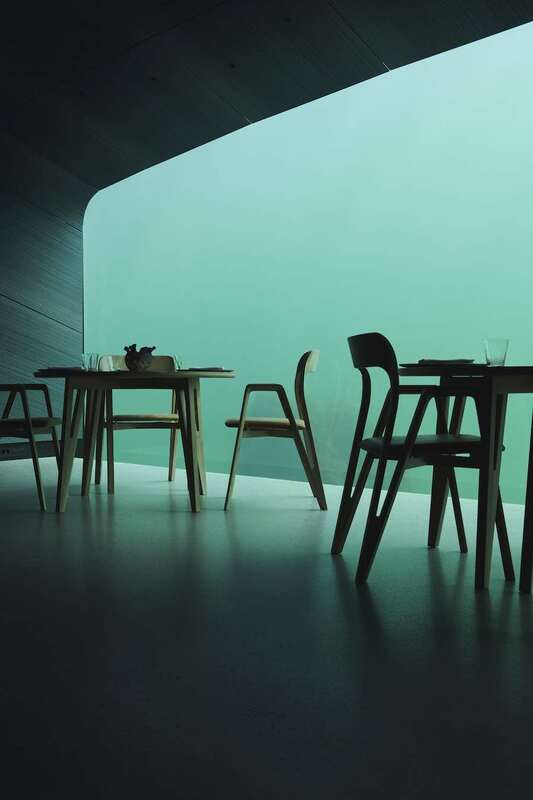 On the left: Battersea Roof Gardens by Foster+Partner. On the right: Prospect Place by Gehry & Partners. Gehry & Partners have designed five buildings to the east of the Electric Boulevard. Anchored by the distinctive Flower building, the complex will host retail at street level, a community park, residential units and a community hub. 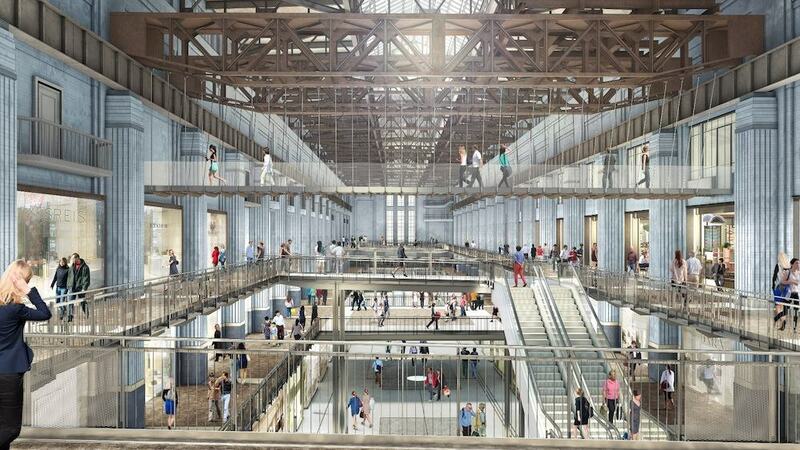 Battersea Power Station – Flower Building by Gehry & Partners. Foster+Partners will create a building that undulates along the Electric boulevard and it is topped by the scenographic Battersea Roof Gardens. The building will guest offices and private apartments (some of then at a more affordable price) but also retail spaces and a medical centre. 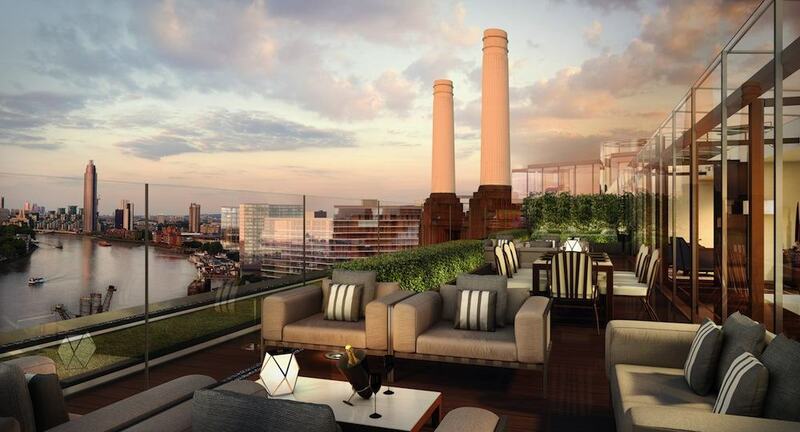 At Milan launch event, Joanne Skilton, head of leasing of Battersea Power Station Development Company Ltd said “The project for the new district will keep an eye also on the local community welcoming promising practices and interior designers and giving space to new talents who want to break in in London international market”. 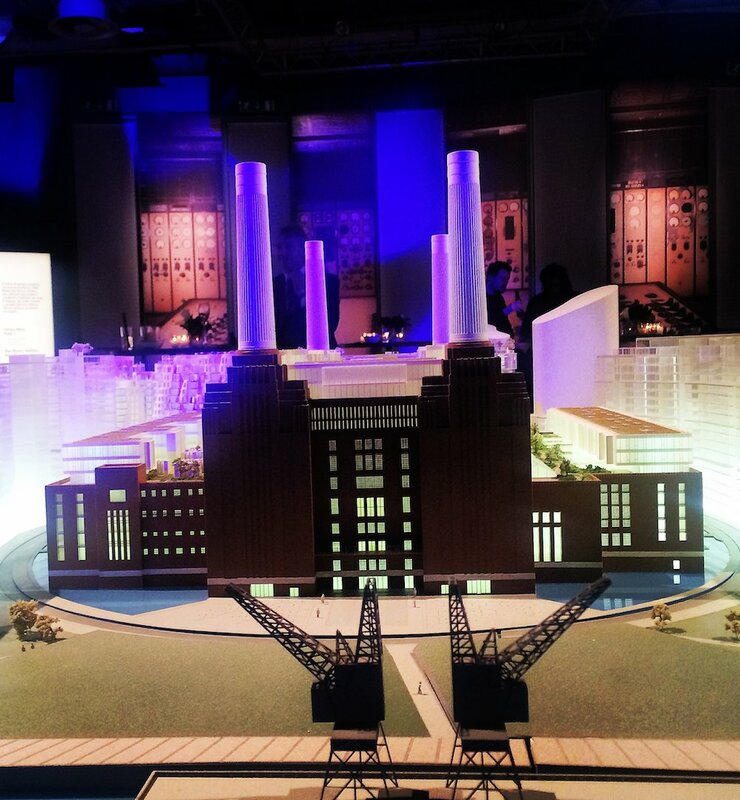 Global launch of Battersea Power Station in Milan. Battersea Power Station – Power Station old Control Room. 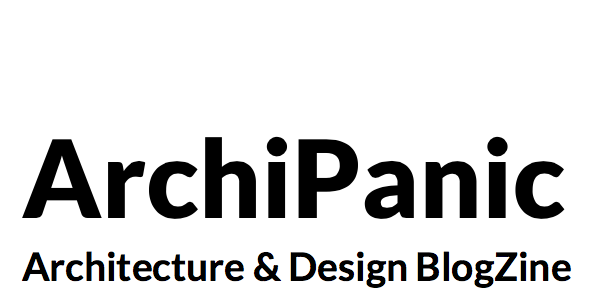 Pingback: What is the future of London and Londoners?